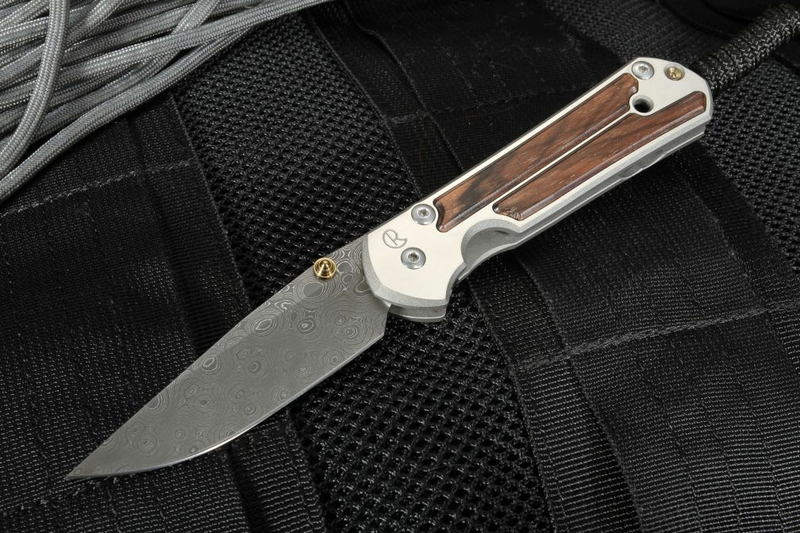 The Chris Reeve Small Sebenza 21 Macassar Ebony inlay with raindrop pattern Damascus steel is a magnificent addition to the iconic Sebenza 21 line. Through continual innovation, Chris Reeve adds artistic flair and stylish details to each design, without ever compromising on practicality or durability. This knife combines dark woods with the hand forged damascus steel of American artisan Chad Nichols. The combination of traditional raw forged damscus steel built into a stunning modern engineered marvel. 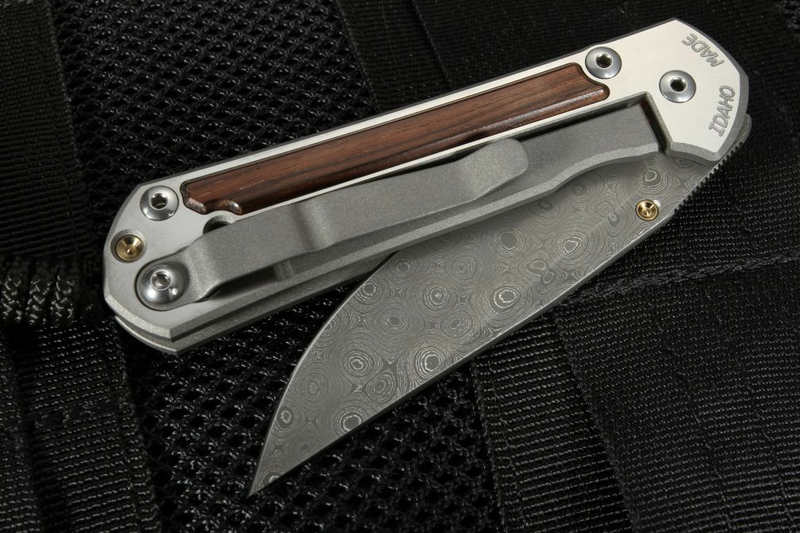 The stuff of legends, Damascus refers to steel alloys that have been forged together to create wavy, artistic patterns. 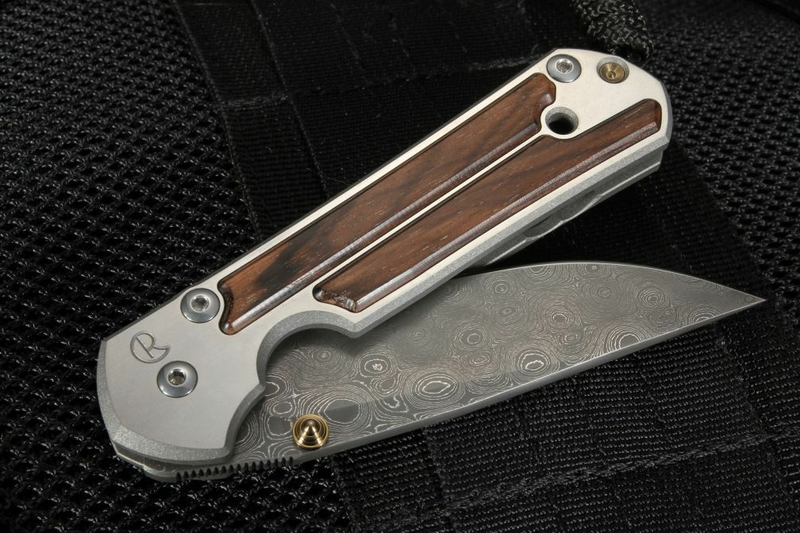 This 3 inch, drop point blade has unique, raindrop-pattern, Damascus steel by Chad Nichols, a world-renowned master of Damascus steel. 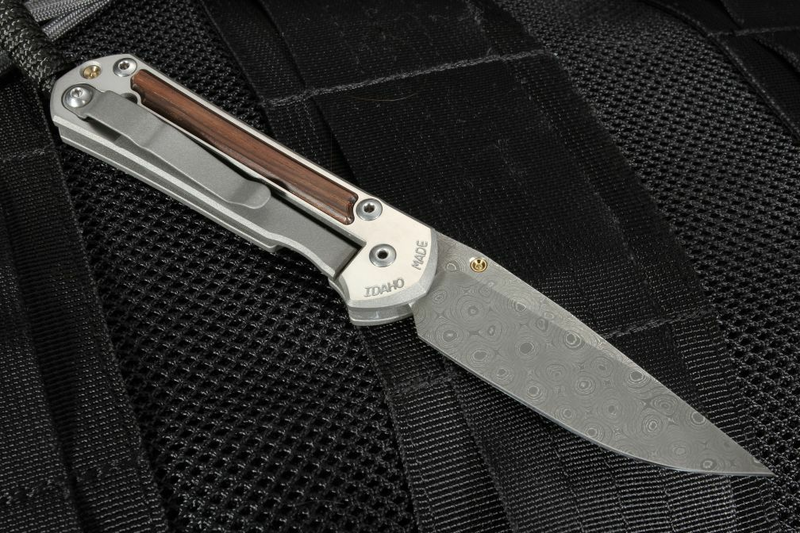 The rich Macassar Ebony inlays and gold accents elevate its status, even more, giving the knife a high-contrast, exotic look, and due to the nature of organic material, no two inlays' variation is alike. Combined with the blasted titanium edges and satin-finished flats, this is truly a show-stopper! With such exquisite details, the Chris Reeve Small Sebenza 21 Gabon Ebony Inlay with Ladder Damascus Steel is sure to attract attention wherever you go! As an authorized dealer of Chris Reeve Knives, KnifeArt.com offers a large selection, same-day shipping, and hassle-free returns and exchanges.